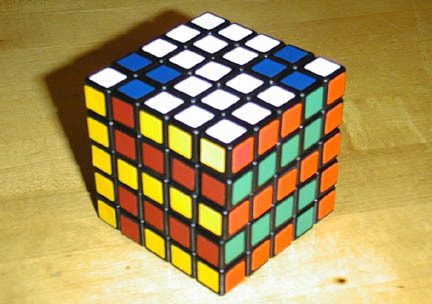 5x5x5 cubes allow for much more interesting patterns on a single cube than do traditional 3x3x3 cubes. 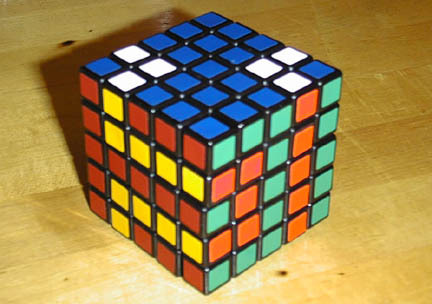 This one is more interesting when you can hold the cube in your hands: it’s a pathway that worms around the entire cube, touching each face of the cube twice. It took a while to determine a pathway that would be feasible, and a little while longer to create it.